If you have a generator or batteries to power your television or radio, keep track of public announcements regarding water safety. Public announcements will be made if drinking water is unsafe, or if there are restrictions on using toilets (if sewer mains are damaged). It is important to be prepared in case your city authorities announce problems with sewer lines. If you have a portable camping toilet, that is a good option for the inevitable. If you do not have a portable toilet, and sewage usage is prohibited, you can still use your home's toilets: drain the water out, and place a trash bag in the toilet bowl as a liner. These waste bags should be removed to an outdoor waste facility and will be removed when public services return to normal. 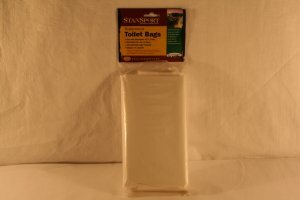 If you do not have access to a toilet, use a plastic liner with a trash can or five gallon bucket. Boiling water for one minute will kill parasites. Boiled water can be disinfected by treating one gallon of boiled water with ten drops of bleach. Use purified bottled or boiled, disinfected drinking quality water for personal cleanliness such as tooth brushing and handwashing. If your water source is a private well, after a flood have your water tested by the health department to ensure its safety. Never combine bleach and ammonia. This produces toxic fumes. If floodwater contaminates food packets, discard everything not hermetically sealed. If floodwater contaminates food packets, before consumption, discard paper labels and disinfect can to avoid spreading contamination to the food.